Travel to the farm for the holidays with Certified International’s ceramic dinnerware and serveware items . 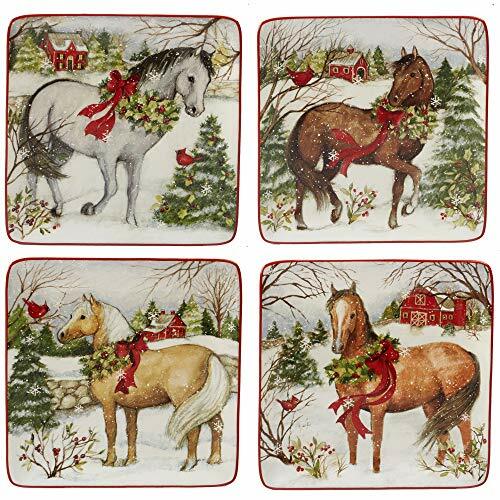 Each piece features beautiful horses in a snowy field decked out in holiday wreaths, their red barn in the distance. Designed by Susan Winget based on her own horses. Plaid accents and colorful red barn 3-d items along with a playful horse S&P set complete this delightful collection.Includes: set/4 dessert plate 8.5″ asst.